If you follow my Facebook page you might have seen the recently published album Taste of Estonia. 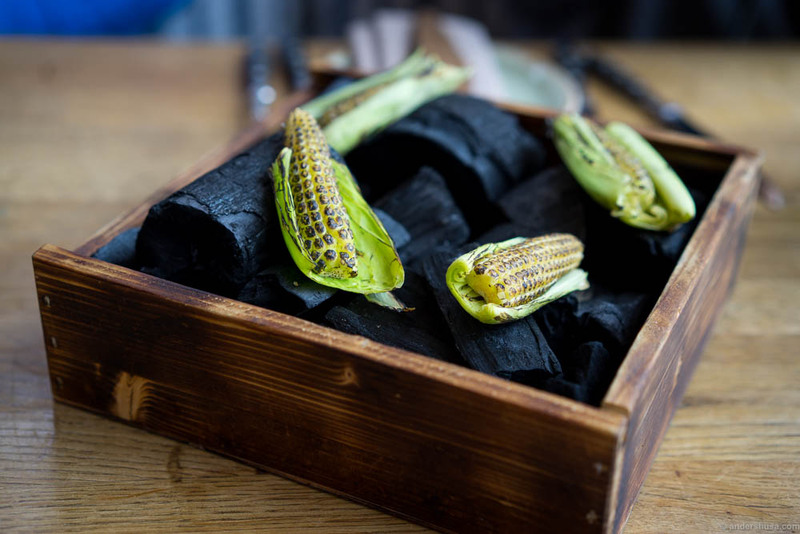 If not, I’ll recap quickly: In September last year the Estonian restaurant Art Priori did a pop-up at Tøyengata Bodega in Oslo. I was invited by Visit Estonia together with Julie and Analiza. However, we found that the food faded in comparison to pictures we had seen from the restaurant in advance. 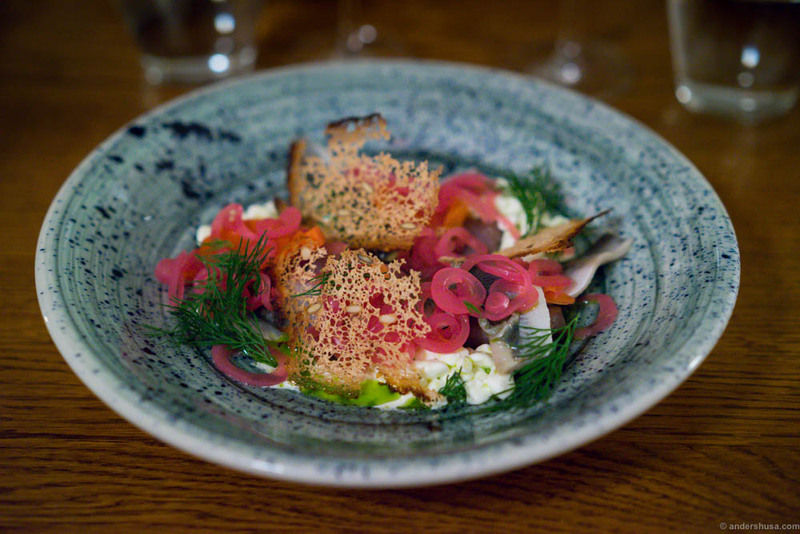 When we talked to one of the chefs, Orm Oja, he confirmed our suspicion: The kitchen at Tøyengata Bodega had proved insufficient to replicate the original dishes from the Tallinn restaurant. Thus, we saw no other option than to visit Estonia and experience the real deal! 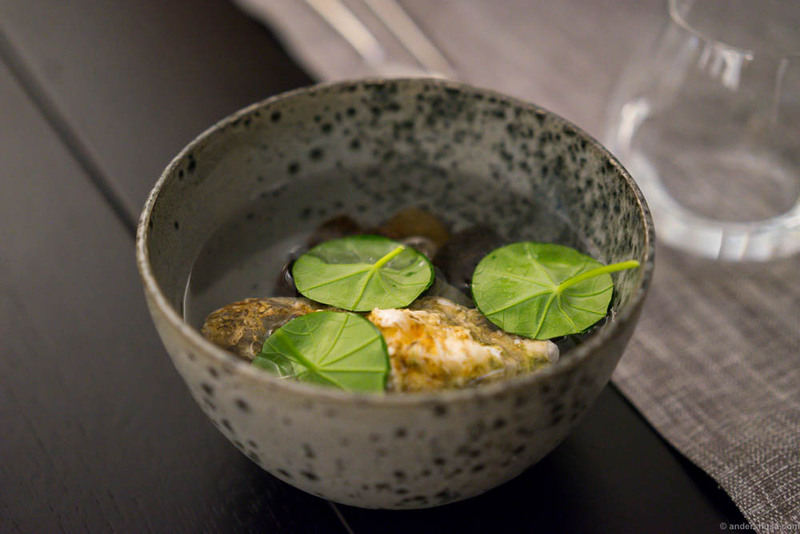 Visit Estonia invited us and picked the spots they wanted us to see during the Estonian Restaurant Week in October last year. 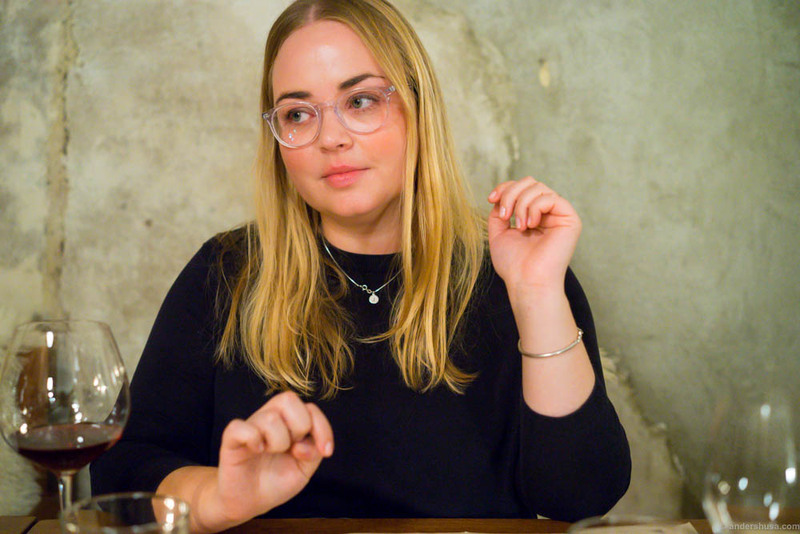 We got to experience the restaurants Art Priori, Oko, Leib, and Noa, all of which are more or less inspired by Scandinavian food. The most interesting fact I learned about Estonia is that they actually strive to be viewed as part of the Nordic countries, rather than the Baltics or Eastern Europe. 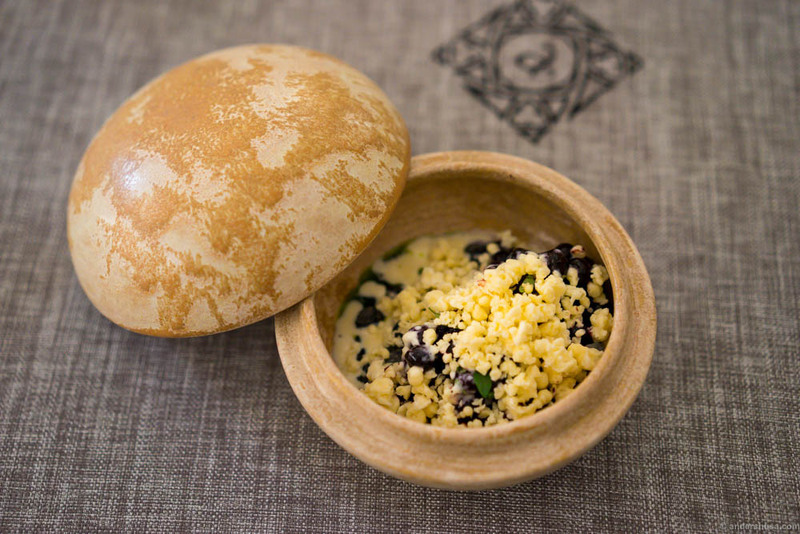 If I traveled by myself I would probably visit more traditional Estonian restaurants as well. 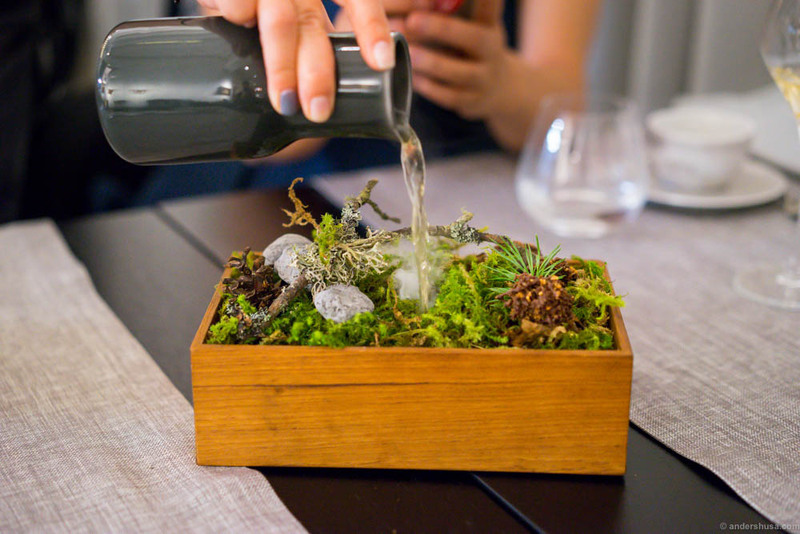 As such, I wouldn’t view this as a complete guide to Tallinn restaurants, but rather an introduction to the modern style of restaurants in Tallinn. During our visit, we stayed at Radisson Blu Sky Hotel, which was centrally located and very nice, clean and modern with a great view of the city. 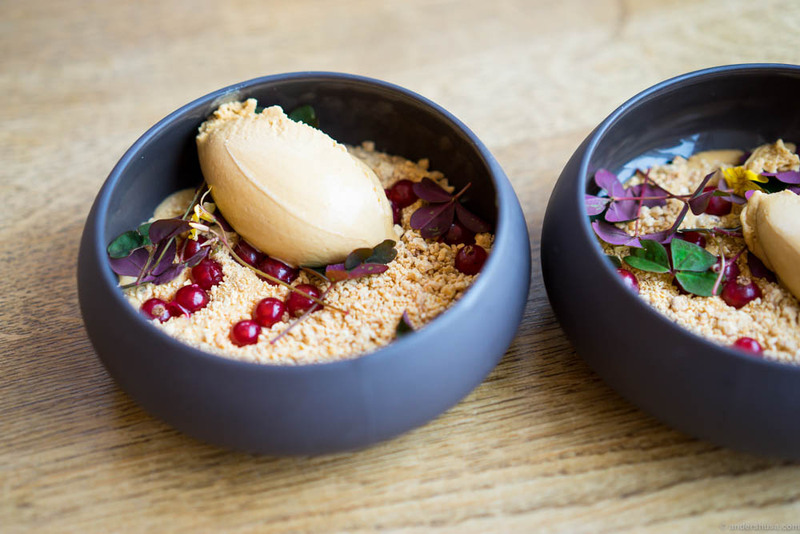 Art Priori is truly a must-visit if you find yourself in Tallinn, regardless of which style of food you are looking for. 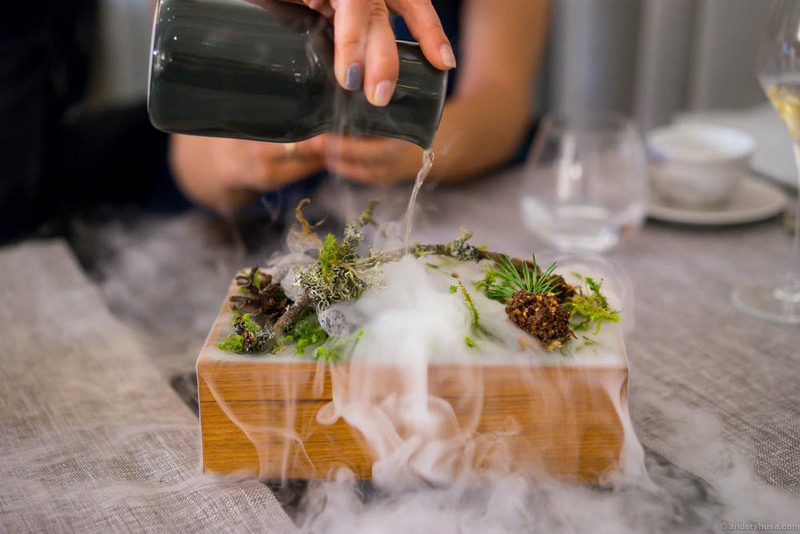 The young chefs in Estonia are the most experimental cooks in the country. 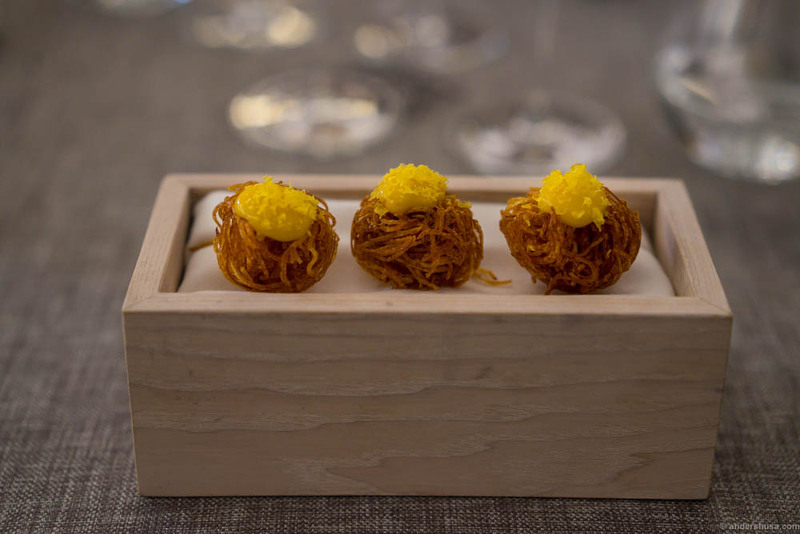 25-year-old Mart Klaas and 23-year-old Orm Oja, head chefs at Art Priori, are prime examples of this. The younger generation, in particular, gets a lot of their influence from the Nordic countries. In fact, Orm Oja was in Helsinki to dine at restaurant OLO the day before our visit. The food he served us in Tallinn, in his own environment, was not even comparable to what we got in Oslo. 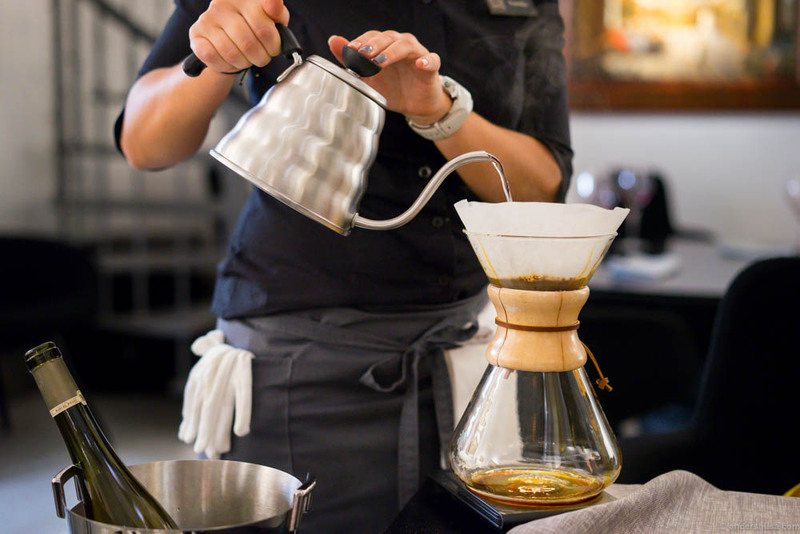 In kitchens where they apply advanced cooking techniques, it can be crucial for a chef to be in his own restaurant in order to prepare the food to his standards. Fried potatoes, truffle hollandaise and egg cream. 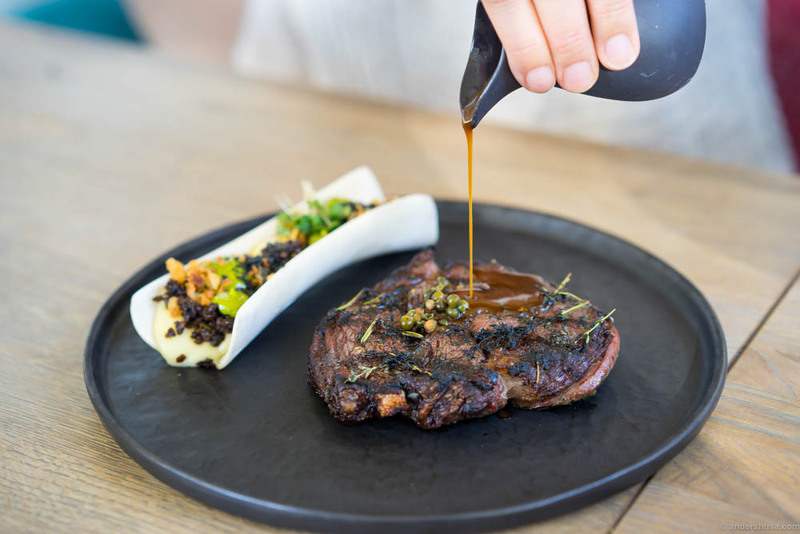 In the kitchen of Art Priori, they utilize all the modern cooking equipment you’d expect from a restaurant at this level: sous vide, Thermomix and the high-temperature grill Big Green Egg. 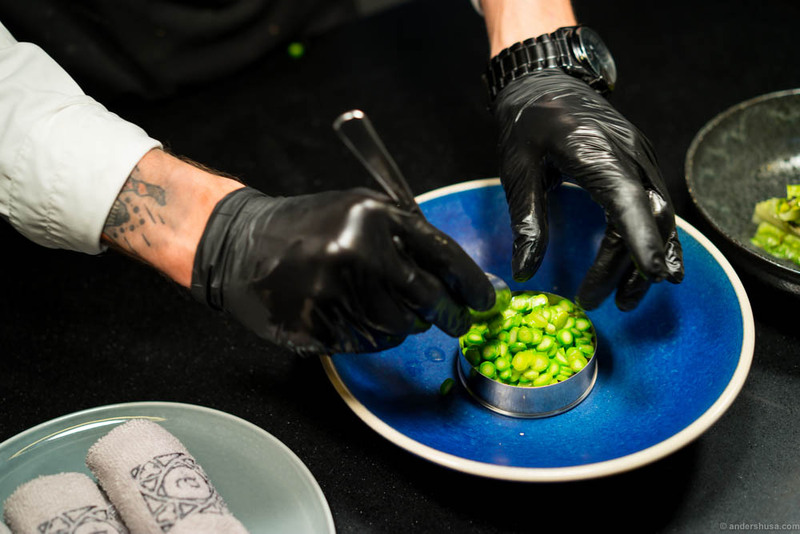 The chefs work with rubber gloves, tweezers and kitchen towels to carefully plate the dishes to perfection in beautiful ceramic bowls and platters. 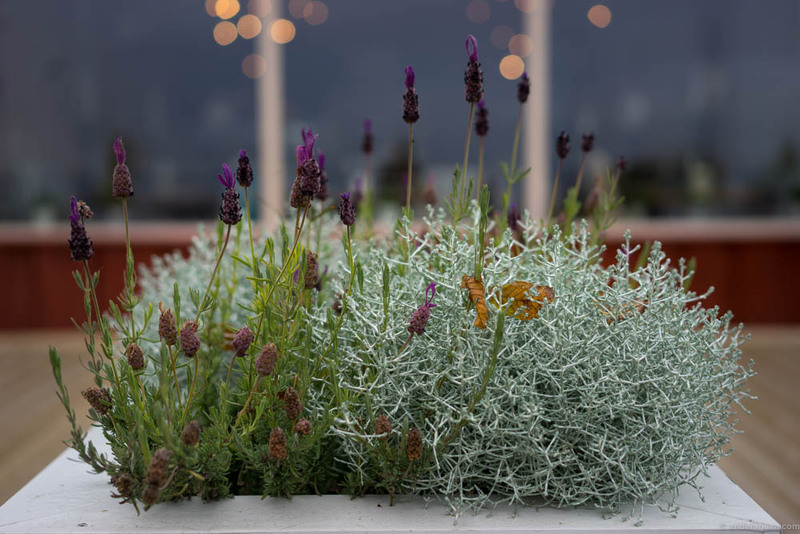 Mart & Orm are clearly influenced by the Nordic food trends and use fresh, local, and seasonal produce with a big amount of vegetables, homegrown herbs, and foraged plants. 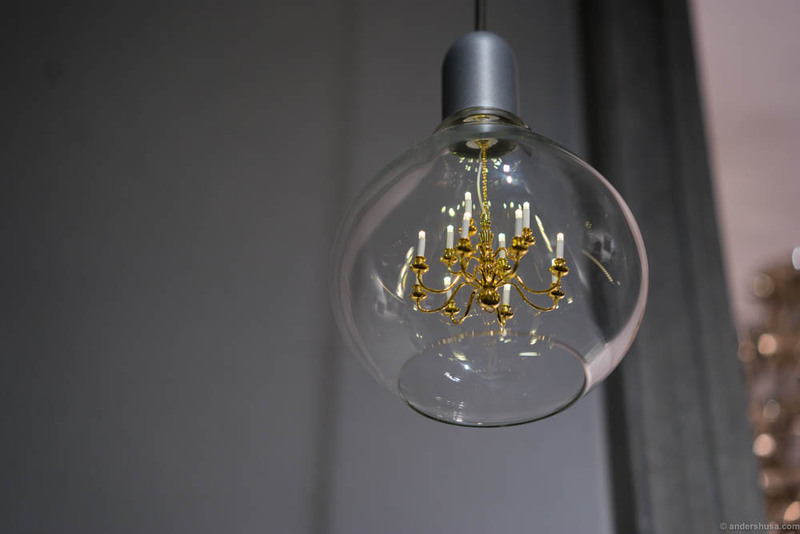 One of the most spectacular things about this restaurant is the interior design. To be honest, Art Priori is an art exhibition as much as an eatery. The entire venue is a reflection of the gothic architecture style of Tallinn. Old, classic paintings meet contemporary art expressions. 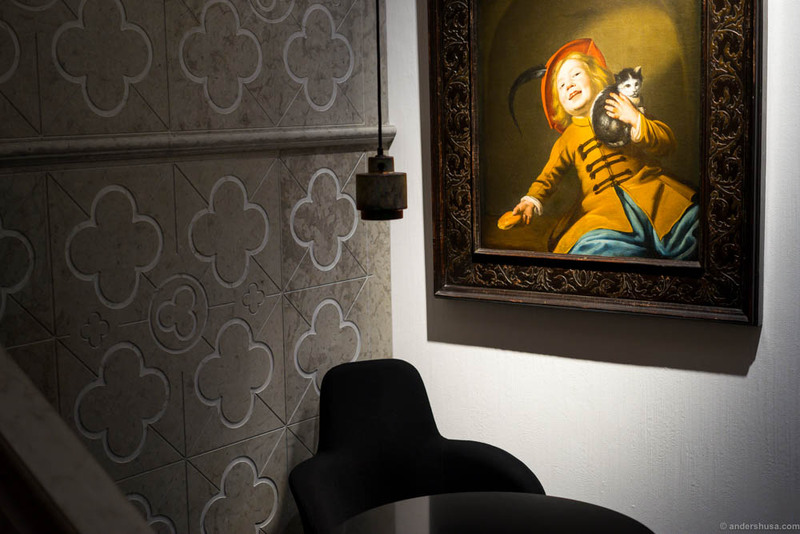 Design details define the entire restaurant from the tiles on the floors to the lamps hanging from the ceilings. For anyone who enjoys art, it is a true pleasure and the most wonderful place to spend an evening. Steak tartare with cucumbers and shaved, dried egg yolk. The cucumber was too dominating, and the whole dish needed more punch. More flavor and more texture. The small snack, the bread serving, and the starters were the best parts of the meal at Art Priori. I found the main dishes too big and less refined than the rest, and some of the desserts needed more work with the presentation and balance of flavors. My dessert was quite good actually, but Analiza’s choice didn’t fit the restaurant profile at all in my opinion. You should also read Analiza’s view on the Art Priori experience. A fun fact about Orm Oja: His first name was given to him because his mother was inspired by the Norwegian book Kristin Lavransdatter by Sigrid Undset. The word orm translates to worm or snake. I guess it was destined from childhood that Orm would be fascinated by the Nordic culture. 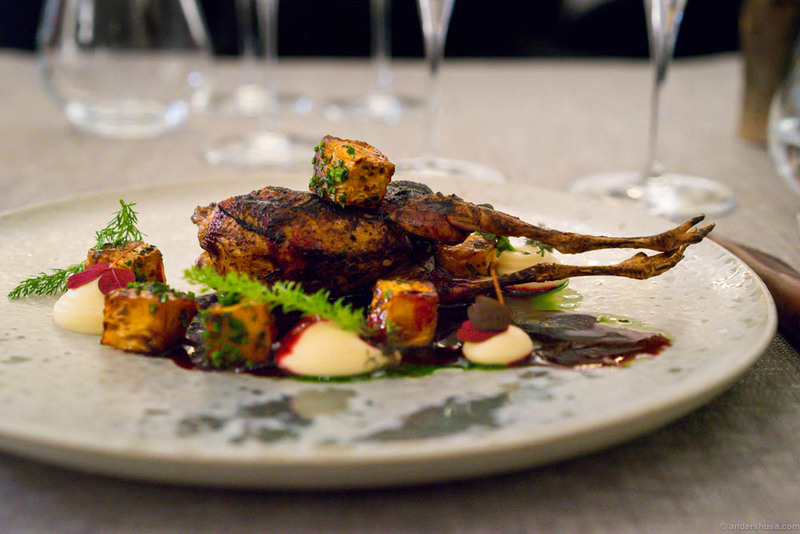 Perfectly cooked quail and a good sauce. A balanced dish, that only lacked a bit of punch. Blueberries and white chocolate rocks. Very good! Reminded me of Pjoltergeist. Petits fours. Chocolate covered lichen and woodruff rocks with wild blueberries. The classic use of dry ice to create an effect of morning mist on a forest floor. You’ve probably seen this trick before. Maaemo comes to mind, obviously. 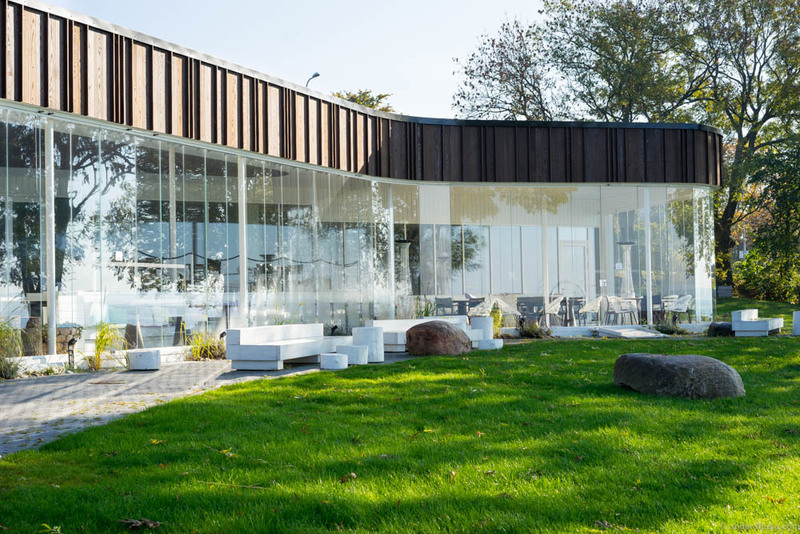 Oko is actually located half an hour outside of Tallinn on the northern coast in the marina of Kaberneeme. 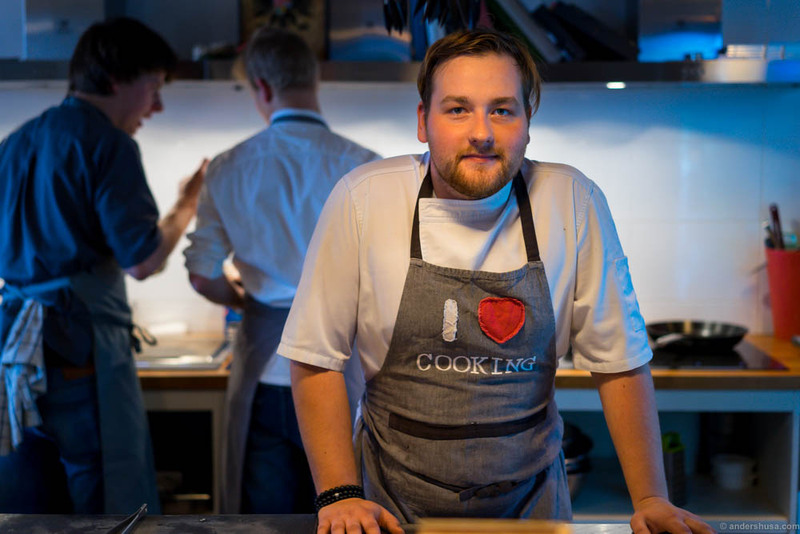 Yet another young guy, 25-year-old Joonas Koppel, is head chef. 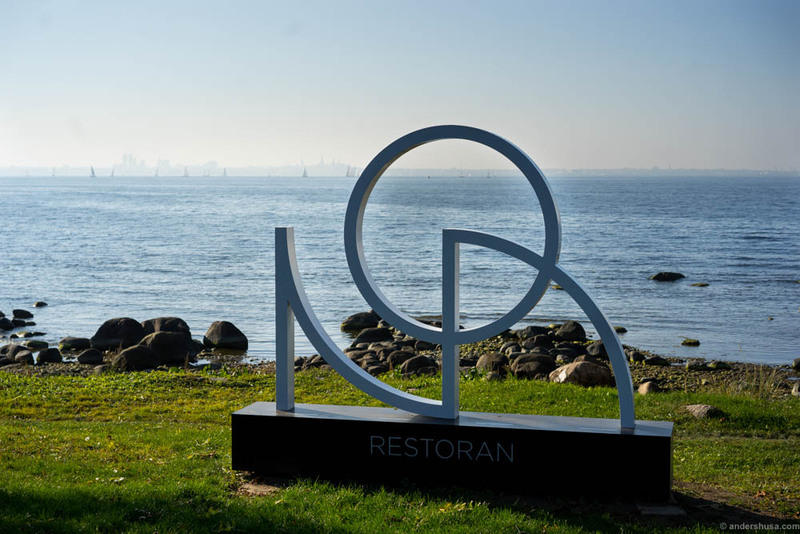 His inspiration comes mainly from Copenhagen, and in particular from restaurant Geist! The restaurant is currently in an old boathouse of the marina, while the main house is under construction. Oko means Welcome in Japanese, and we felt indeed very welcome in this beautiful setting on our final day in Estonia. A small bite to start of the meal: Roasted baby corn with brown butter, which gave the dish a nice sweetness. I don’t fancy baby corn so much, but this was tasty! 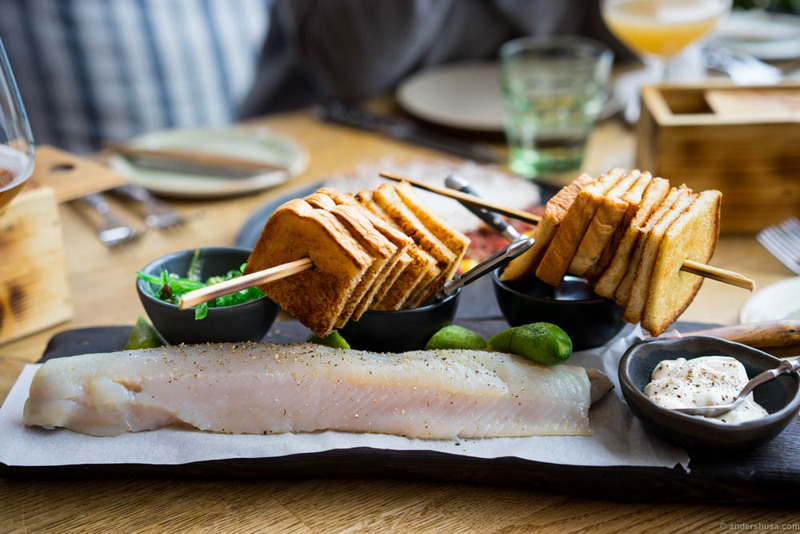 The salty whitefish was perfect for sharing. We cut the fish ourselves with a sharp knife. The consistency was as you’d expect from raw fish. Very mild flavors and tasty on the toast with whitefish roe in sour cream, wakame and onions. 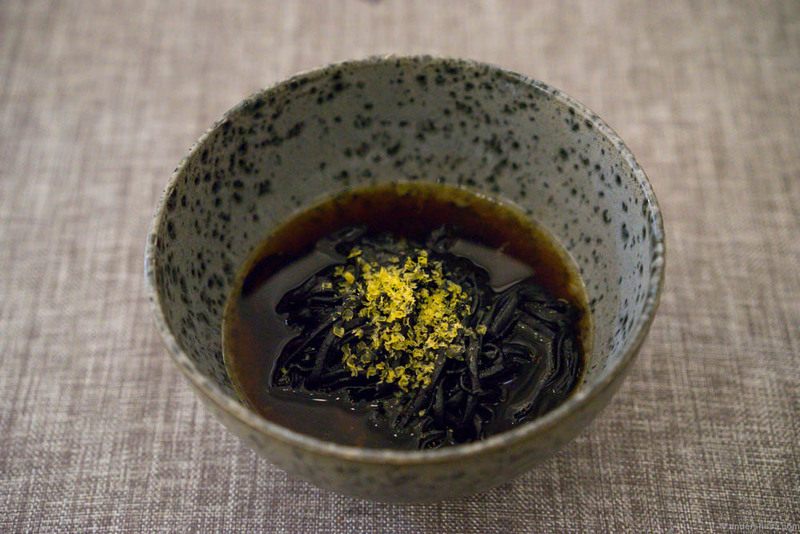 I found a lot of the food at Oko exciting, and the ingredients and presentations were clearly inspired by new Nordic cooking. 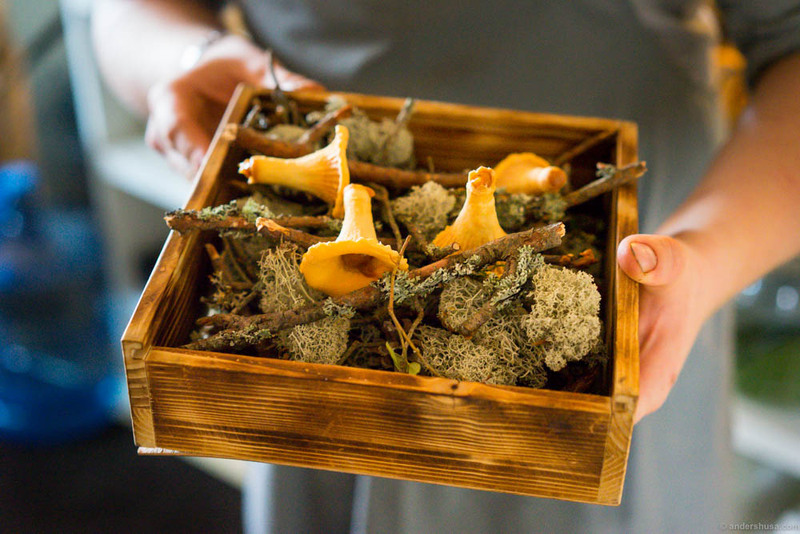 The brown butter with chanterelle powder was one of the best flavors of the entire trip! I believe my travel companions were of the same opinion. In fact, Analiza was inspired to recreate the brown butter with a homemade recipe of her own. 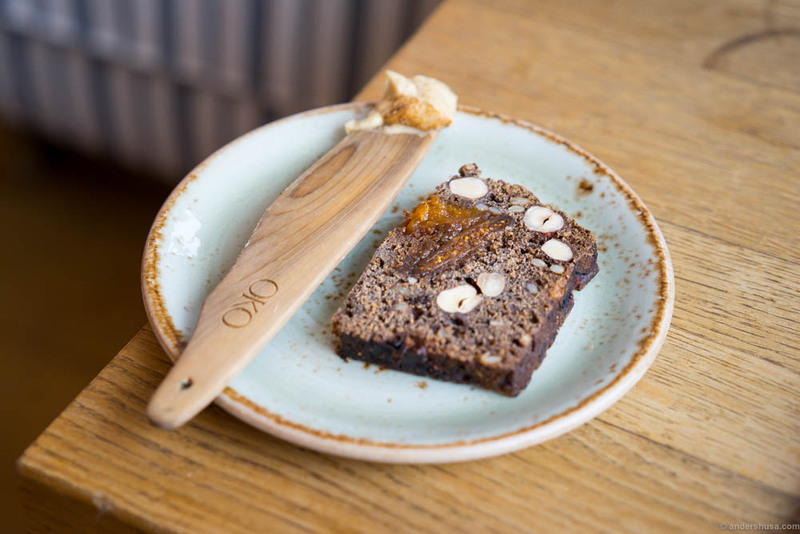 Fruit bread with nuts and the heavenly tasty whipped brown butter with chanterelle powder! Smoked eel, cottage cheese, cucumber, potato and hollandaise. Again with the cottage cheese… Nice presentation, though. 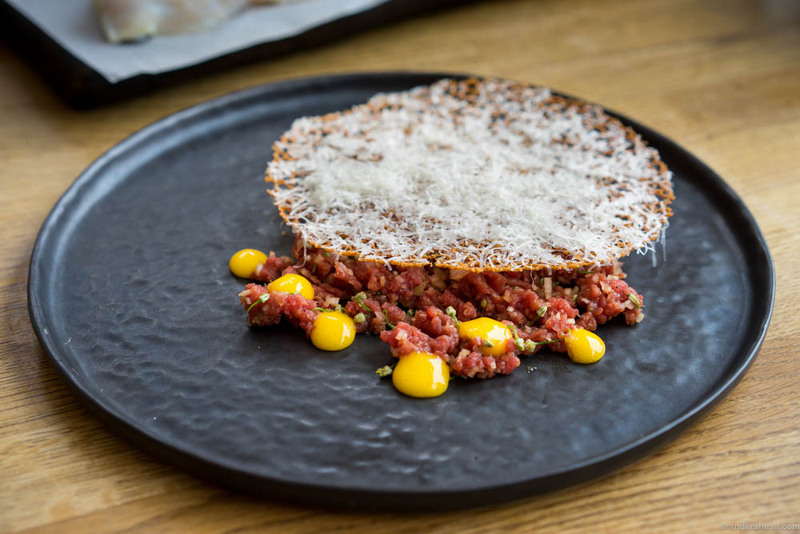 Chopped venison tartare, cheese cracker and parmesan. 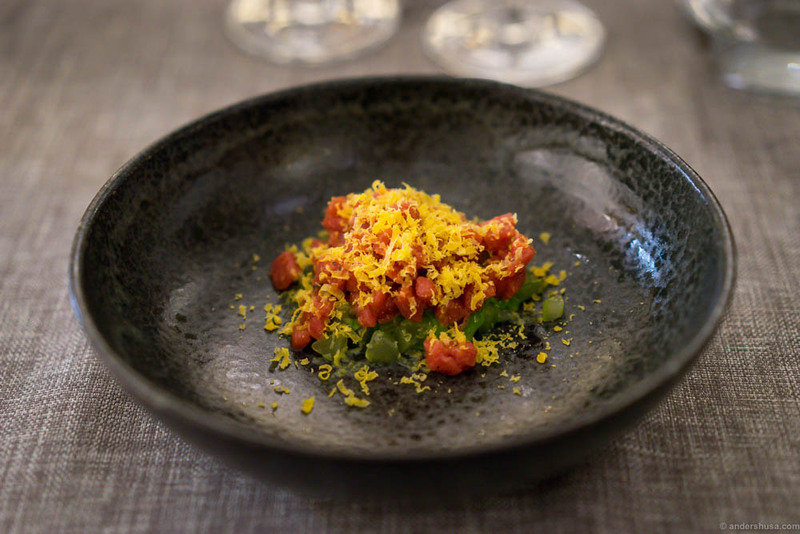 The best tartare we tried in Tallinn in terms of taste and balance in textures. Do not be afraid of bacon! Chanterelle ice cream, bacon and burned chocolate with wood sorrel. A final surprise snack as you are about to leave the restaurant. A small biscuit in the shape of a mushroom, with a salty mushroom caramel inside. Leib Resto & Aed literally translates to Black Bread Restaurant & Garden. 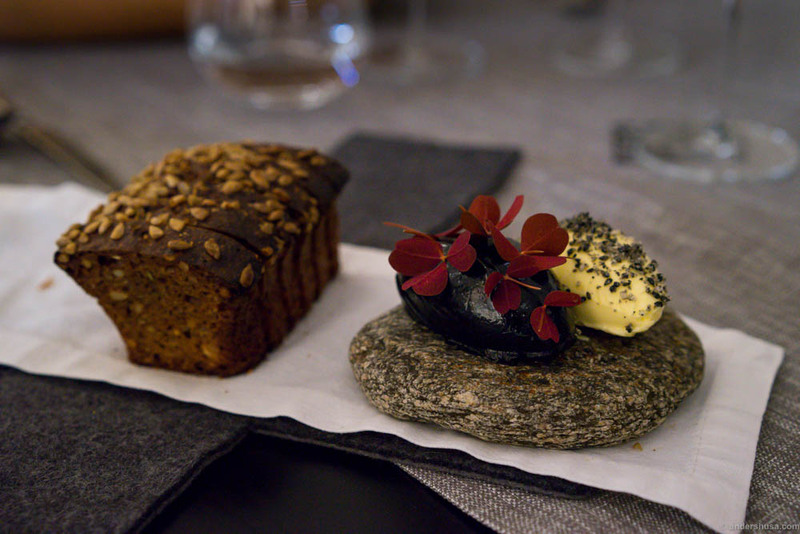 The black bread is a national treasure in Estonia. According to the owners at Leib, this is what Estonians dream about when they are away too long. I think I know the feeling because we had a similar dark bread with syrup when I was a child. I still miss it, and it’s always the best thing in the world when I get it served these days. Leib at Leib. 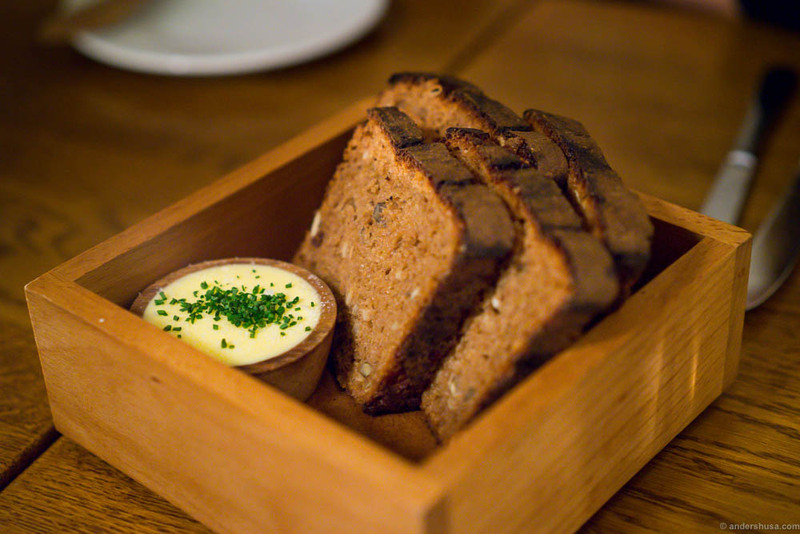 The restaurant is named after the famous Estonian black bread – Leib. Leib was located in a quiet area of the old town. Not far from Art Priori, we would learn the next day. This was such a unique area to wander about. It felt very authentic Eastern European to me, the way I’ve imagined it to be. When we walked past a restaurant in the basement of a building I told Julie and Analiza that I was sure I had been here before in a dream. I didn’t know we would soon sit behind these very windows ourselves, as this was the first floor of restaurant Leib. The exterior reminded me of somewhere I have been in a dream… Not that I believe in those things! I loved this old area of Tallinn, it felt so authentic. 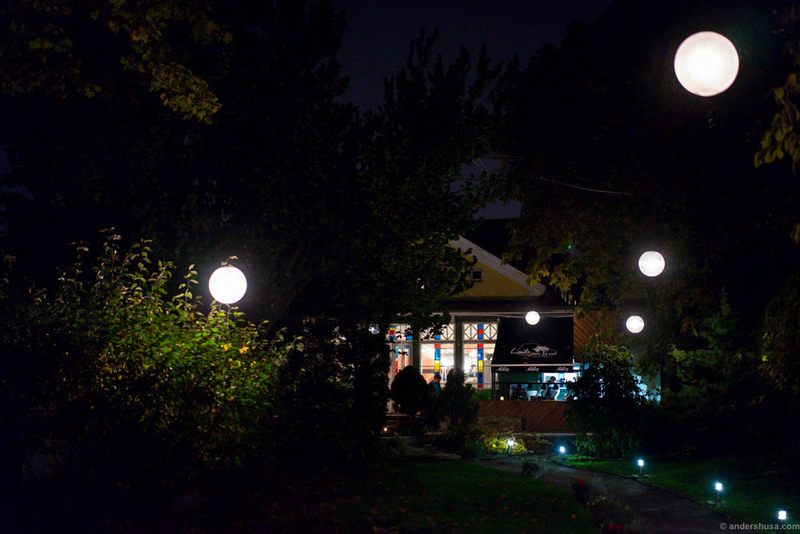 The main entrance to Leib was around the corner, up a stairway, and through a lantern-lit garden. Hence the last part of the restaurant name. I can imagine this to be a wonderful place during the spring and summer season, but to us, it was just a great entrance passage. Marinated Baltic herring with butter-baked potatoes, cottage cheese and ramson oil. Very strong aroma to this dih. The cottage cheese in there had me confused. The lovely ceramics was from an art school. The dinner at Leib was actually the first meal we ate in Tallinn, shortly after our arrival to the city. From all the restaurants we visited, this was probably the most traditional Estonian in style. 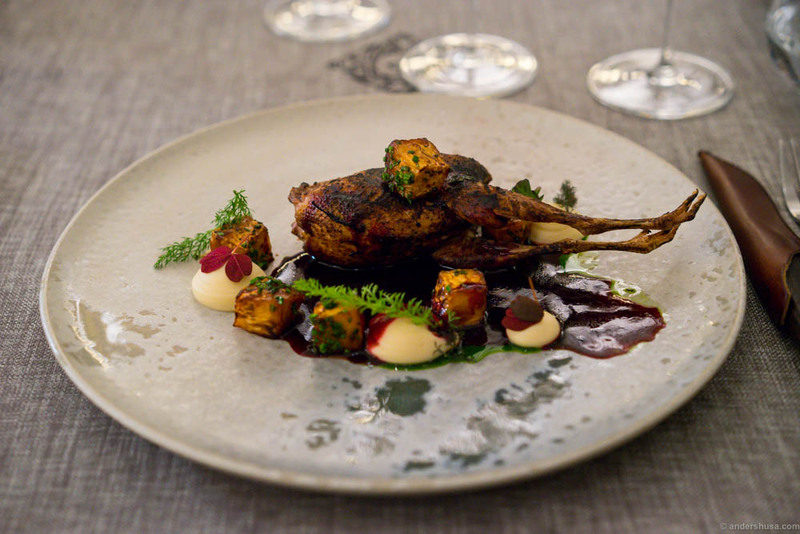 Chef Janno Lepik and sommelier Kristjan Peäske describe themselves as professional foodies, and they are passionate about the food of their homeland. They work with local farmers and fishermen, and the menu is always seasonal. The flavors and aromas were a bit unusual and strange for us, and some of the food was quite dominated by a sweet taste and vinegar flavor. We washed it down with a very tasty rhubarb schnapps, though! 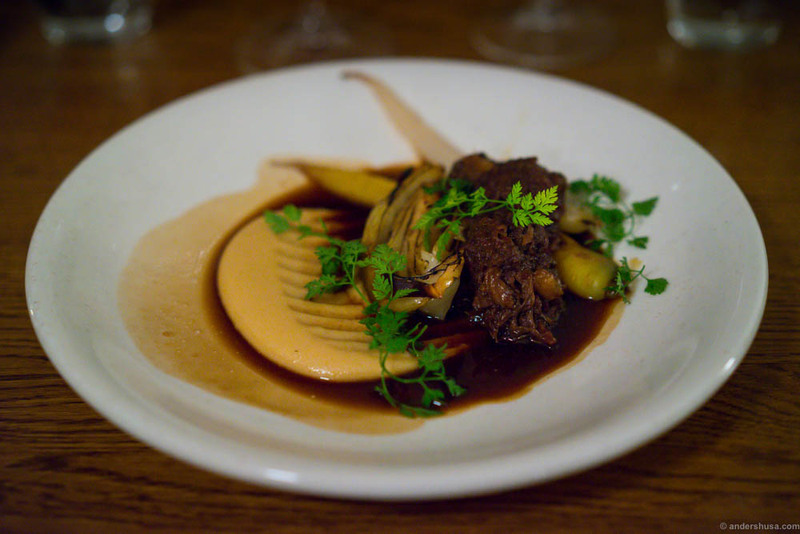 Slow-cooked Liivimaa grass-fed oxtail with roasted potato cream and marinated carrots. Very rustic and tasty. Noa is actually the primary restaurant of the same people who own Oko. It’s located a short drive from the city center on the outskirts of Tallinn. 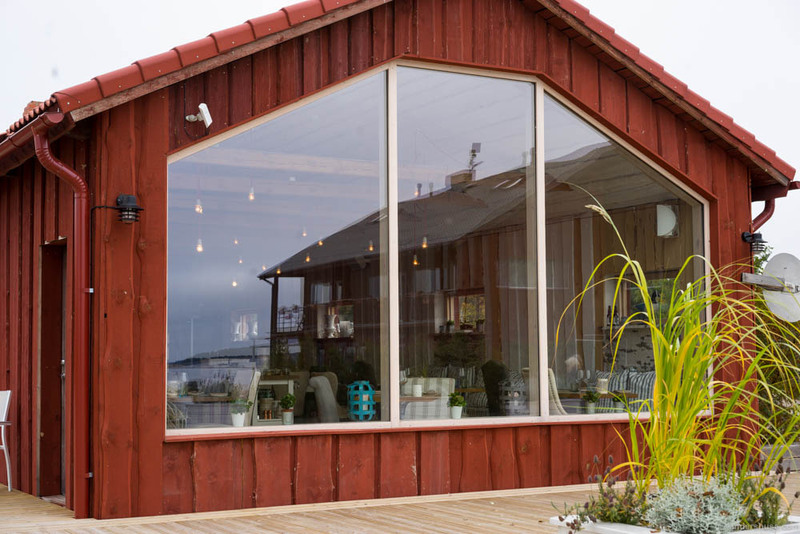 We were met by a stunning view of the sea, and a restaurant building with a magnificent and minimalistic Nordic architectural style of wood, steel, and glass. Certainly, nothing that resembled the old town of Tallinn here! …and a minimalistic, Scandinavian inspired architecture. Noa is split in two: Noa Restaurant and the Head Chef’s Hall. 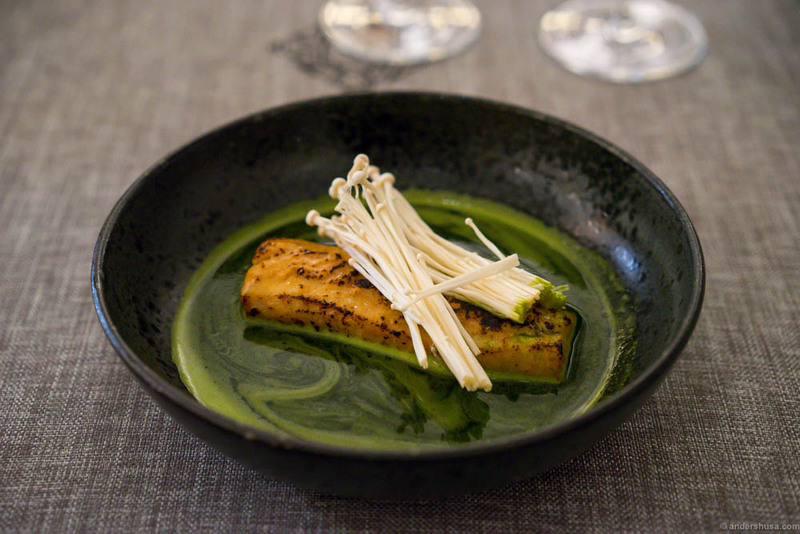 The former is a casual place offering à la carte, and the latter is a fine dining restaurant with a degustation menu. We ate lunch in Noa Restaurant, but it was not the best meal of the trip, unfortunately. No clear style of cooking, unbalanced flavors, seemingly random ingredient combinations, and weird, cheesy presentations. We later learned that the Head Chef’s Hall would have been quite a different experience. I hope so because the location is great. 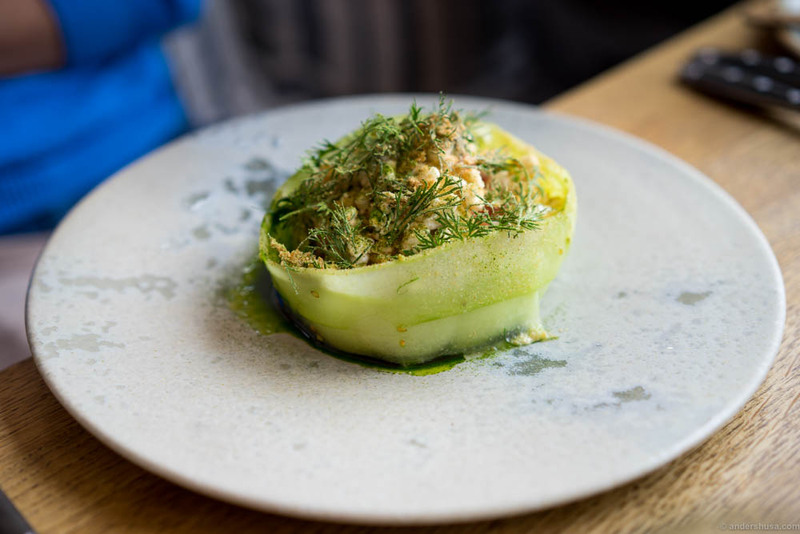 If you do find yourself in Tallinn, I would definitely recommend that you check out some of these restaurants, which we were introduced to. My preferred order is from the top of this article and down. Raspberry hot-pot. Pastry cream, crispy almond crumbs and basil sorbet. This travel guide is sponsored by Visit Estonia. They had no influence on the choice of recommendations or content of this article. I received no monetary payment. The guide contains an affiliate link to booking.com. Hi. I am happy you liked my guide. Leib was a very special experience for me too. Loved the ambience. The food was a bit unfamiliar for my palate, I think. I hope to go back to Estonia some time, and experience more places. I highly recommend for you going back in summer too as we do like our seasonal eating and on the islands they make very good fish and game dishes! Anywhere hidden you recommend in UK? 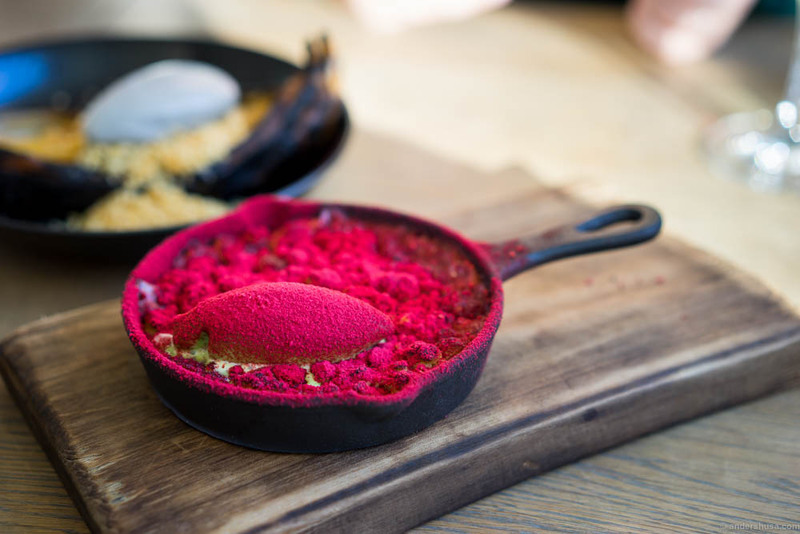 Check out Milk for brunch in London. 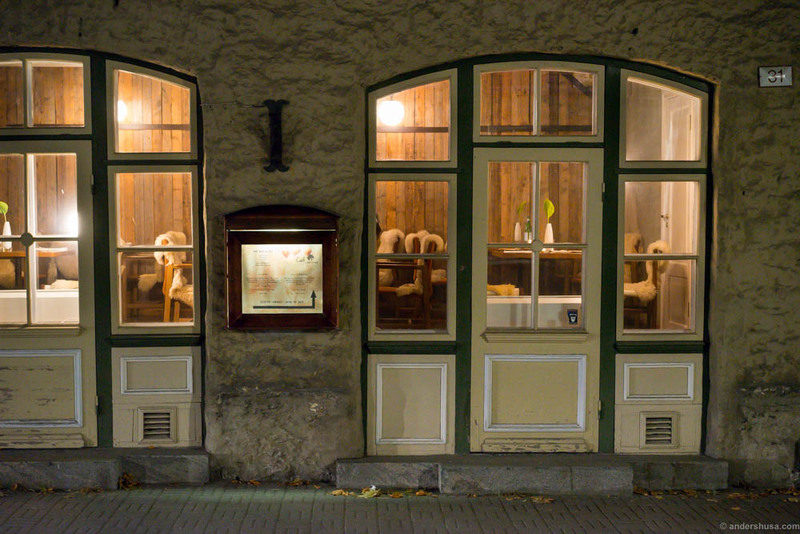 I have had opportunity to visit several restaurants in Tallinn during the past 6 years. I always find new places to test. Some of them are excellent and others just fill the need of hunger the same way as fast food hamburger at Mcdonalds. There is though one place which I have visited several times during the past 6 months which I want to lift up and it is Restaurant Rataskaevu 16, 100 m from Raekoja Plats. Excellent service and food dishes which fills the need of culinary experience without high costs. The place is fully booked on the weekend evenings so you have to make a reservation on time to be able to test this restaurant. Places in the article above are good as well but Rataskaevu 16 has advantage when it comes to service. Lot of Estonian restaurants should send their personal to learn how to meet customers so that they feel themselves as welcome as in Rataskaevu 16.